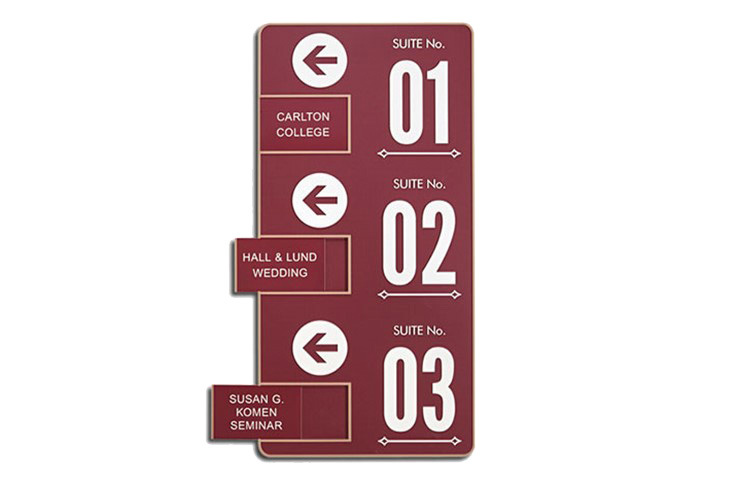 Directional/Directory Signs (Wayfinding Signs) point people in the right direction. Available indoors and out, we’ll create custom ADA-approved signage for your building or property. Help visitors get where they are going, reinforce your brand and improve traffic flow—making your customers happy. Mark wheelchair-accessible entrances and exits, rooms, parking spaces, restrooms and elevators.